Simple Roast Chicken for #SundaySupper - Get the Good Stuff! I’ve joined the Sunday Supper Movement, a group of bloggers dedicated to bringing back family supper on Sundays. You’ll find some great ideas for family-friendly meals. 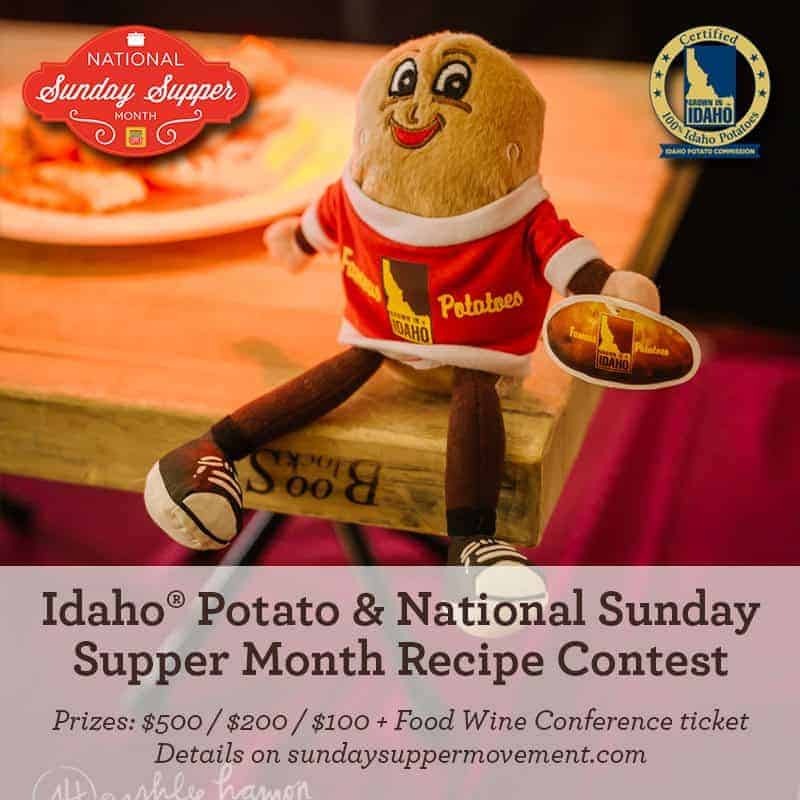 I urge you to commit to share Sunday Supper at least once a month this year! The best gift we can give our family and friends is to hug, laugh, share our stories, and enjoy great meals together. I’m a rustic cook. I don’t like to fuss much and I favor the simple but fabulous. This is especially evident when I cook a chicken. Butter under the skin? Brining? Trussing? Too involved, and generally not for me. I like a simple approach: shove some herbs and aromatics into the chicken and just roast it. This is one of the easiest things in the world to cook. There’s a little prep, then an hour or so of unattended roasting, giving the cook lots of time to assemble the rest of supper. Simple but fabulous demands good ingredients to start with. I get my chicken right from the farmer at my local farmers’ market, and most of my herbs from the garden patch just outside my kitchen door. Get the best ingredients you can, and your meals will taste their best. I favor classic combinations. The aromatics I use most often are lemon or onion – both will add moisture and flavor to the chicken. My standby herbs are rosemary, sage, or thyme. Experiment to find your own combinations! As part of the Sunday Supper Movement, I and a host of other food bloggers are pleased to present to you some of our favorite last-minute holiday recipes. Check these recipes out below, and be sure to pin your favorites! Sunday Supper bloggers love being pinned! Simple Chicken Stock - Get the Good Stuff! That skin looks PERFECT! I just want to sneak a piece. Such a simple yet amazing recipe! I love a simple roast chicken, especially on Sundays. Just joined Sunday Suppers myself. Take care. A chicken roasted on Sunday pays off during the week. Roast chicken is the perfect weekend comfort food! Every home cook should know how to roast a chicken, in my opinion. Nothing better than good roast chicken! This looks beautiful! Definitely perfect for a sunday supper. Sometimes we’ll roast two: twice as much goodness for no extra work. An absolutely perfect Sunday supper. It does seem that the simple, unpretentious meals are quick to become a family favorite. What a gorgeous roast chicken! Simple is the way I like roast chicken, too! A perfect comfort food! Nothing like a simple roasted chicken for Sunday Supper!